Corsair launches more products with RGB including a new software that controls Corsair peripherals at Computex 2018. These products are the new Corsair Vengeance RGB PRO DDR4 memory, Obsidian Series 500D RGB SE case and the new iCUE Software. The new iCUE software will let you control and customize all of Corsair’s supported peripherals. Meanwhile, the Corsair Vengeance RGB PRO DDR4 memory is a high performance memory module offering speeds up to 4,600MHz and (of course) RGB light bars. These new products are being showcased at Computex 2018 in Taiwan. Check out more details about these new products from the press news below. The Corsair iCUE unifies dynamic lighting control, cooling control, system monitoring and command customization within a single intuitive interface, supporting literally thousands of CORSAIR products. 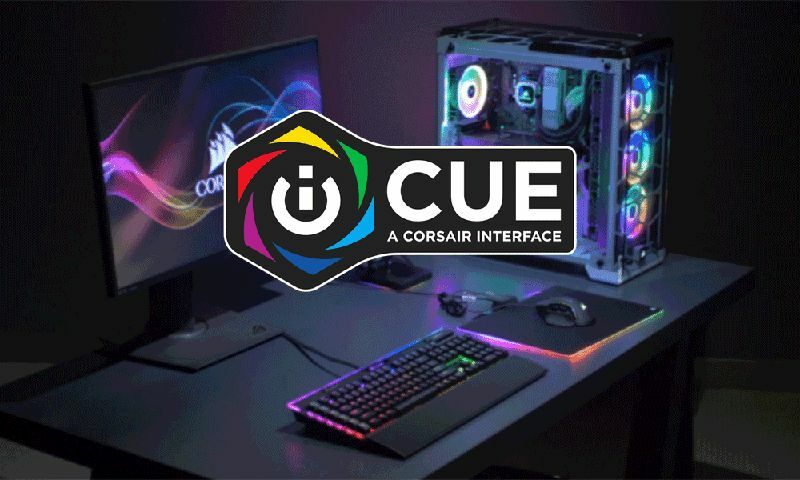 From keyboards and mice such as the K70 RGB LUX and M65 PRO RGB, to Hydro Series PRO liquid CPU coolers and AXi Series power supplies, iCUE brings your entire system together with stunning synchronized lighting and powerful system control. Showcasing the very best that iCUE has to offer, CORSAIR has today also announced two new flagship additions to its industry-leading range of RGB products; VENGEANCE RGB PRO Series DDR4 memory and the Obsidian Series 500D RGB SE PC Case. Both feature stunning individually controllable multi-zone RGB lighting, able to be synchronized across all your compatible CORSAIR devices with a single click, as well as in-depth performance monitoring to ensure your system runs at its best. Combining full system lighting synchronization and in-depth monitoring into a single interface, iCUE delivers intelligent control, with unlimited possibilities. 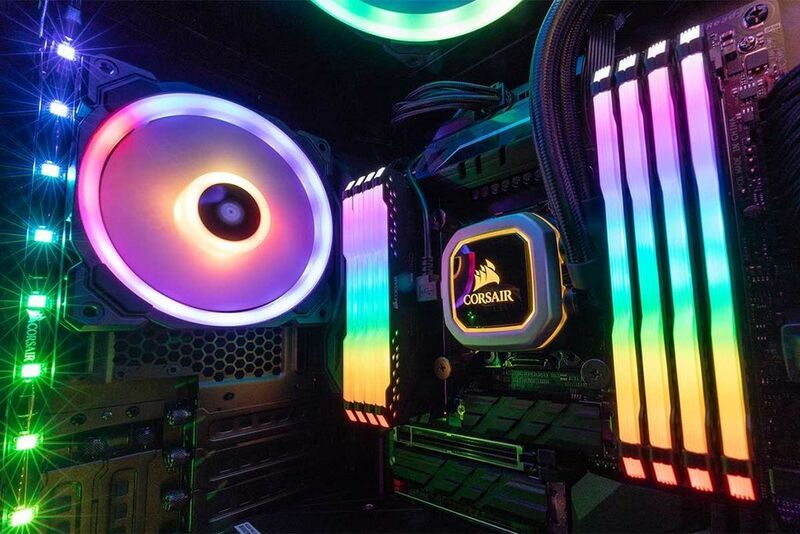 The Corsair VENEGANCE RGB PRO Series DDR4 memory brings stunning multi-zone RGB lighting to the DIMM slot, with each module boasting ten bright RGB LEDs, controlled by CORSAIR iCUE software to light up your system with stunning effects. Lighting synchronizes with all your CORSAIR iCUE compatible hardware for system-wide lighting at the click of a button and illuminating your motherboard with smooth transitions and vibrant patterns. It’s even possible to re-order or invert each module’s lighting in iCUE, ensuring your memory looks its best, however your motherboard’s DIMM slots are laid out. Setting up VENEGANCE RGB PRO is as simple as fitting modules into a DIMM slot on most current Intel and AMD DDR4 motherboards and running CORSAIR iCUE, with no additional cables or wires required. What’s more, with VENGEANCE RGB PRO, there’s no need to trade style for speed; VENGEANCE RGB PRO is tightly screened for high-performance, is XMP 2.0 compatible with a single motherboard setting, and available in speeds up to 4,600MHz. Even with high-speed performance out-of-the-box, VENGEANCE RGB PRO also boasts the overclocking credentials you’d expect from high-speed CORSAIR memory. A custom performance PCB and aluminum heatspreader available in black or white provide the highest signal quality and reliability, with exceptional cooling offering plenty of potential to push your memory further. The Obsidian 500D RGB SE adds a dash of the spectacular to the iconic Obsidian Series 500D. The standard 500D front aluminum plate is replaced with a premium piece of smoked tempered glass and backed by three LL120 RGB fans, each equipped with 16 vibrant LEDs for a total of 48 RGB LEDs of vivid illumination. Powered by an included CORSAIR Commander PRO digital RGB lighting and fan controller, and CORSAIR iCUE software, it’s easy to synchronize lighting with the rest of your CORSAIR iCUE compatible setup or choose from an extensive range of customizable lighting effects to create your own RGB masterpiece. The power of iCUE doesn’t stop there; with in-depth system monitoring and customizable cooling curves, you can take direct control of your system’s fans, adjusting speeds to correspond with CPU, GPU or system temperatures for low-noise operation, or even stopping them completely when you need a moment of silence. Behind its RGB lightshow and tempered glass front panel, the Obsidian 500D RGB SE retains all the features that have made its namesake an award winner with reviewers around the world. Smoked tempered glass panels on either side and an aluminum top plate and trim combine the best in minimalist design with premium materials, while inside plentiful fan mounts, storage space and extras, such as a vertical GPU mount, stand ready to host your most ambitious builds. CORSAIR VENGEANCE RGB PRO Series DDR4 memory will be available in June 2018. 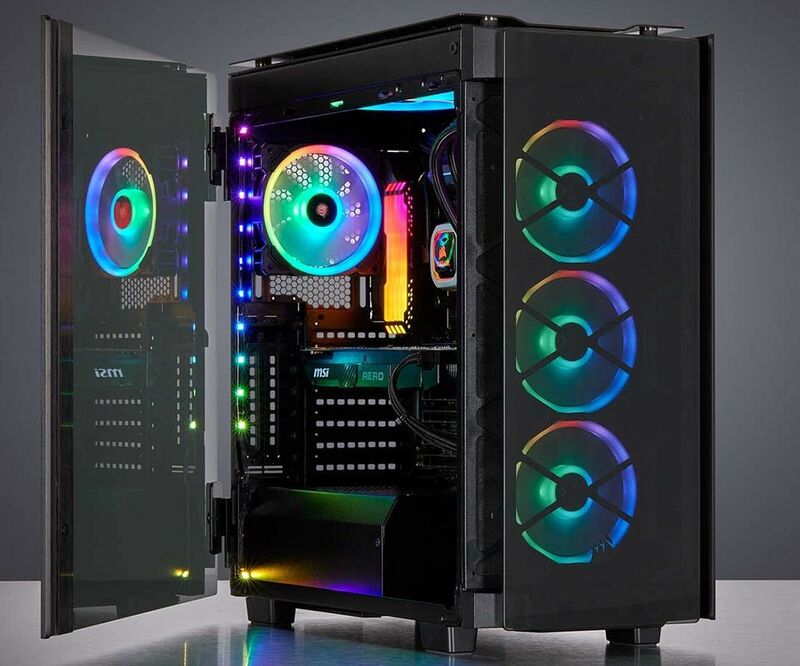 The new Obsidian Series 500D RGB SE is available immediately with an MSRP of $250 from the CORSAIR worldwide network of authorized retailers and distributors. VENGEANCE RGB PRO is fully compatible with CORSAIR iCUE software, and also supports GIGABYTE RGB Fusion and MSI Mystic Light software. 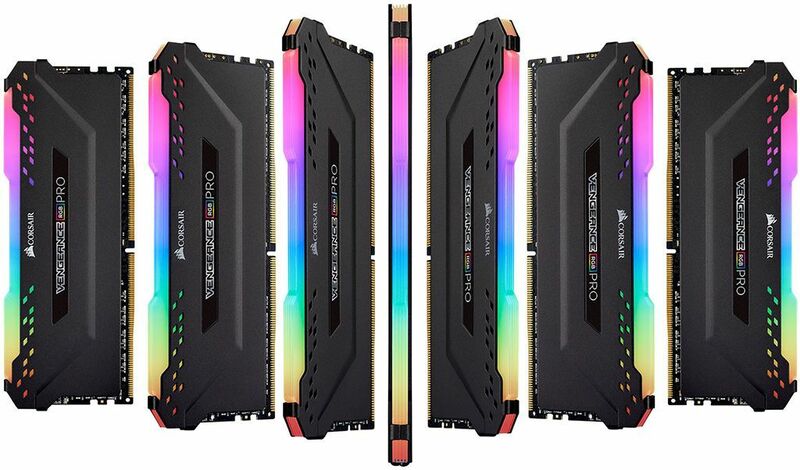 CORSAIR VENGEANCE RGB PRO Series DDR4 memory is backed by a limited lifetime warranty, while the Obsidian Series 500D RGB SE is backed by a two-year warranty. Both are supported through the CORSAIR worldwide customer service and technical support network.